Flash Drop Down Menu Bar is a tool that allows you to design your Flash like dropdown menu in a few minutes and instantly see the results. 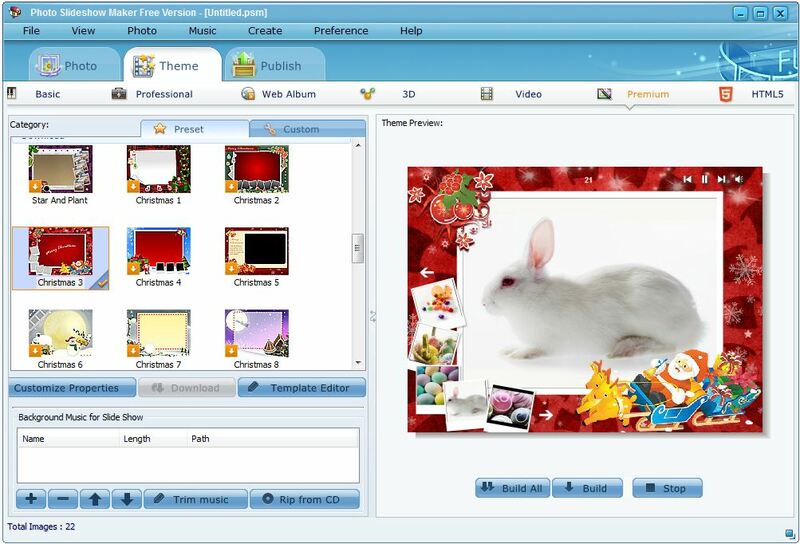 The program gives you complete control over appearance of your menus, including options for specifying font, font size, icons, colors, dimensions, and more in a easy-to-use interface. User can define icons and associate them with menu links. Flash Drop Down Menu Builder allows you to create as many submenu levels as you want. Create 1-state, 2-state, 3-state and 3-state toggle buttons Use images for icons, backgrounds of submenus and items. Using images you can create menus entirely based on graphics. Create both horizontal and vertical menus and submenus with any amount of menus on one page. Insert any HTML code inside the menu item - be it a form or a picture, a flash-object or a text. This ability allows you to create various menus of any complexity. 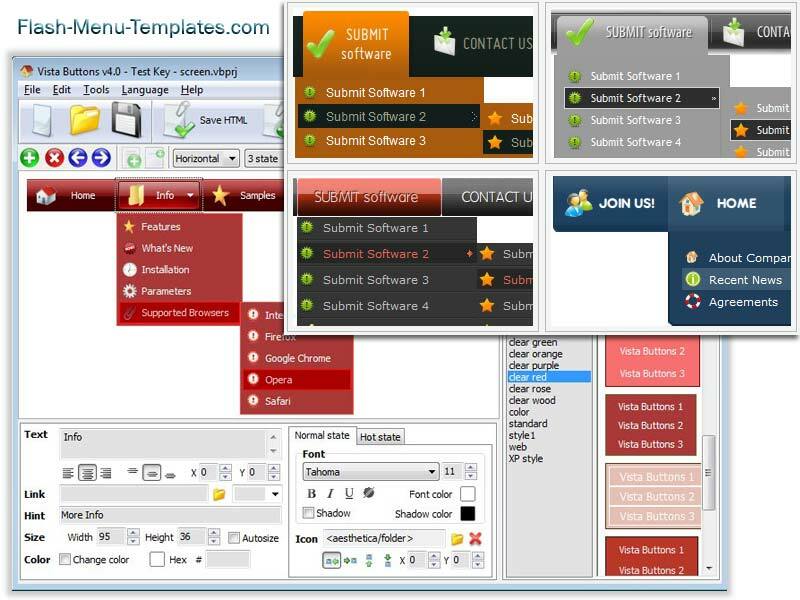 Ready to use button templates and submenus themes.